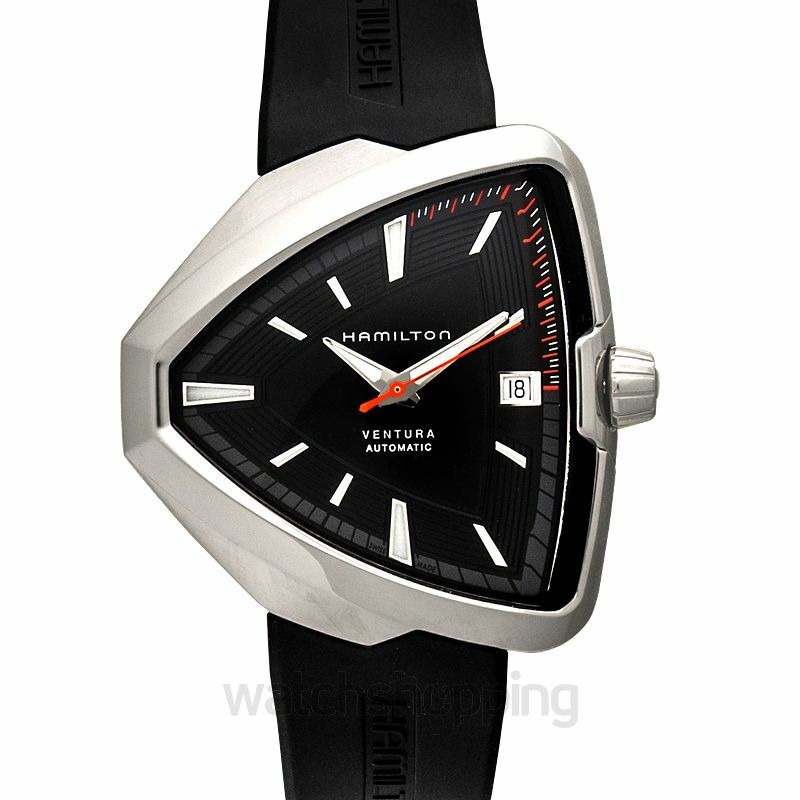 A beautiful yet unique timepiece by Hamilton, this watch speaks quality with its stainless-steel hands and index markers. 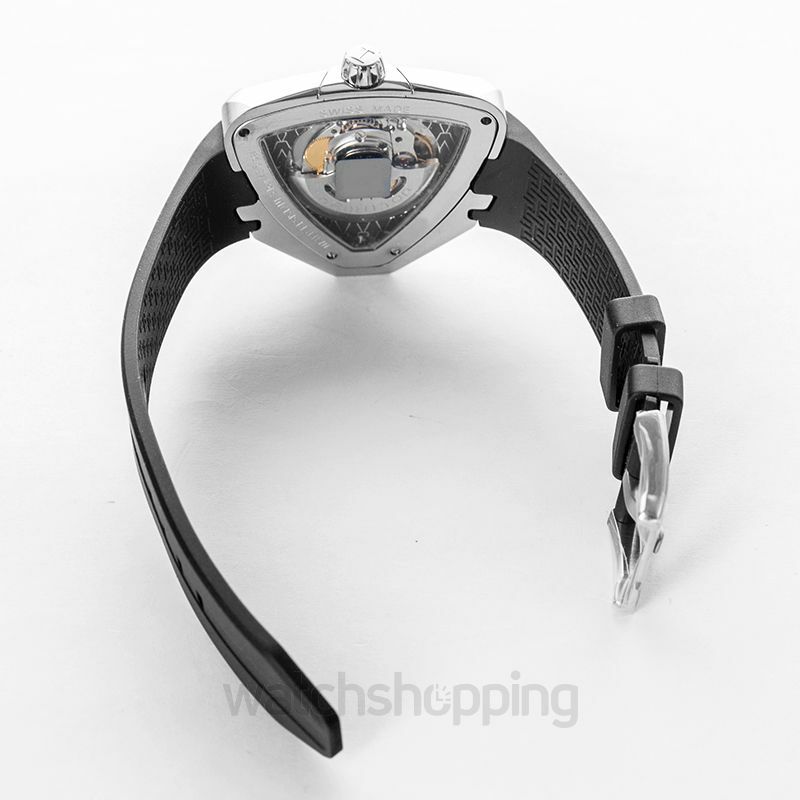 The style is reflected through the unique yet stylish design of this particular watch with its triangle sort of design. 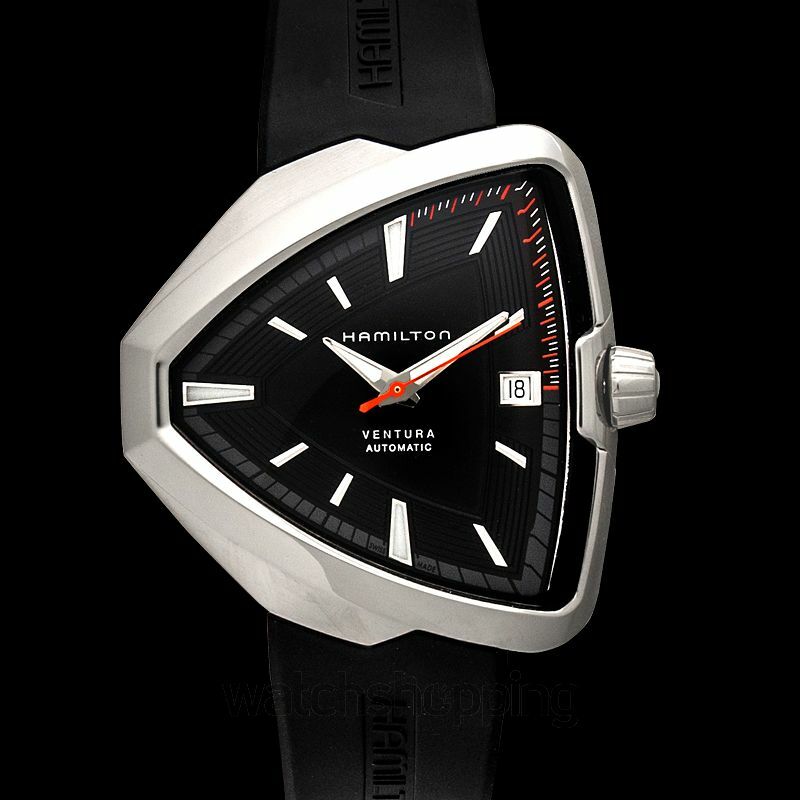 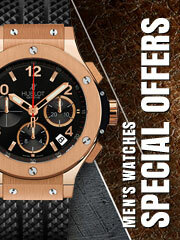 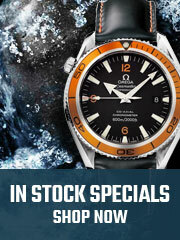 The dial is pure black which speaks elegance and glass with a steel and silver colored circumference. 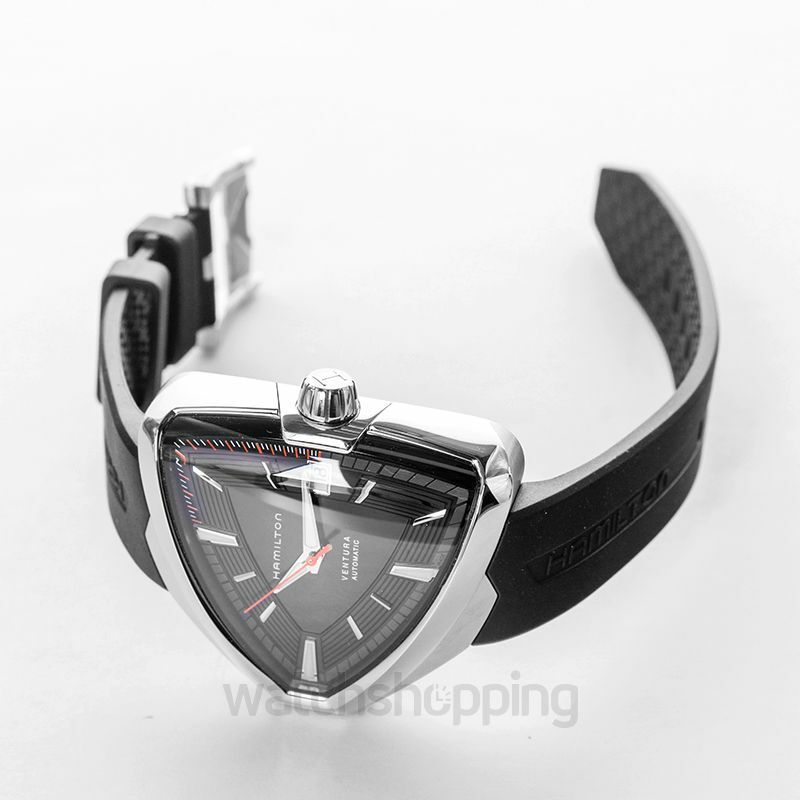 The watch also features a calendar which is located at the place of the 15:00 marker.